This past Sunday we addressed some of the basic realities of authority. In particular we looked at the reason some might have seen Jesus’ teaching as having authority while the scribes failed to have authority. Authority is not about office or status but instead it is about influence. 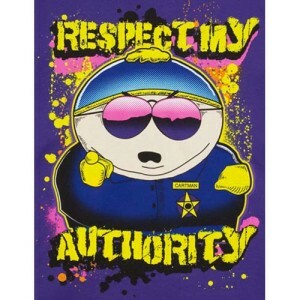 Far too often we think that those who are “in authority” have authority. We need to look no further than our nations political system to see that this is not true. Just because someone is put into or takes on a position of authority, doesn’t mean that they will be able to exercise that authority. This begs the question of, “what is the purpose of having authority?” Authority is less about power and more about influence. In the case of Jesus and the scribes, who’s teachings were able to influence peoples lives? Who was teaching in ways that not only put forth ethical teaching, but also taught in ways that people were willing to follow? The Church has often found itself in this very situation. It has taught with little to no authority because people are not following. Sadly, I believe that we find ourselves at a crossroads in our society. We are judged as being those who teach without authority. For many in our society, the church is just like the scribes of Jesus’ day. We make claims on truth, but than fail to express it in our daily lives. Joan Gray reminds us that we have to do a lot of work to become those who not only have authority, but use it wisely. For the next few weeks, I would like to explore some of that work we must do. The first step towards becoming powerful spiritual leaders is to recognize that, as the church and individual believers, we are inheritors of Christ’s authority. Yes, even Presbyterian’s in the post modern culture are people who are called to teach, preach and live as those who have the power to influence people for Christ. An important reminder in this discussion is to remember the purpose of that authority. We have an authority that is not for our own gain. We aren’t called to use the power of God in our lives for our own needs and wants. We are empowered by the Spirit to do the work God is calling us to do. Culturally we are suspect of all authority. This isn’t something new. I believe that such skepticism is at the heart of our Reformed/Presbyterian tradition. Seeing the abuse of authority, the reformers stood up and called for those in power to change the systems that abused authority. We have also seen plenty of contemporary examples of the misuse of authority. Let’s face it, the Church throughout the world has not lived up to it’s scared calling and has often used it’s authority in ways that have caused damage. Personally, I have seen this reality in every place I have witnessed the church. Do the failures of the past mean we should stop trying? This attitude is what we see in our society today. Since those who have led in the past have fouled everything up we should just acquiesce. Now this is not the example we receive from God. God shows us that it is critical to continue to put a claim on truth and goodness. Throughout the Scriptures we see God call leader after leader and more often than not they end up in some form of error. Nonetheless, God continues to call and send. We are those who have been called and sent into the world today. These words concluded Matthew’s Gospel for a reason. Jesus’ last worldly interaction with the disciples is a reminder that he has authority and that with that authority he is sending us into the world. How are you claiming the authority of Christ in your life? This entry was posted in Tuesday Tidbits and tagged authority, christ presbyterian church, church, communication, congregations, crazy stuff, discerntment, fear, geoff, God, guts, Jesus, living, mclean, pastor, practices, spiritual growth by Geoff McLean. Bookmark the permalink.